This Aug. 16, 2013, file photo shows a shopper exit a Sears store in Peoria, Illinois. Sears is opening stores again. The embattled department store chain, which has shut hundreds of Sears and Kmart locations over the years and recently got another shot at life after filing for bankruptcy protection in October, still sees a chance to be a shopping destination for hardline goods like appliances, tools and mattresses. 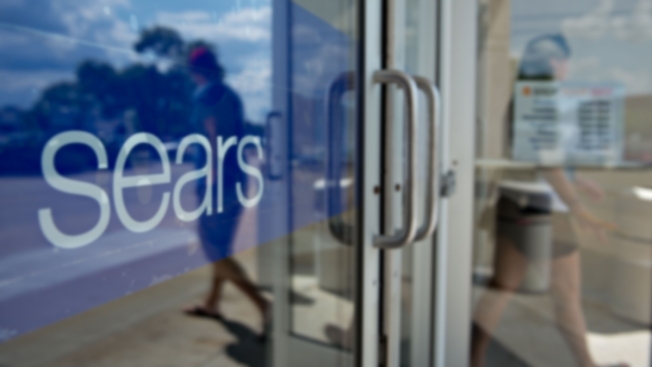 Sears announced this week it will open three Sears Home & Life stores in May, in Anchorage, Alaska; Layette, Louisiana; and Overland Park, Kansas. These shops will be smaller in size — spanning only up to 15,000 square feet, while the average Sears store can be larger than 100,000 square feet. Sears was the Amazon of the 1930s. Here's where the retailer is today from CNBC. They won’t include apparel, something other department store chains are increasingly struggling with selling today. And clothing hasn’t ever been much of a draw for shoppers to Sears locations, though the retailer tried to make a push into that category in the 1990s. That’s when it debuted a marketing campaign called “The Softer Side of Sears” in an attempt to reach more women with button-down tops and dresses. Sears also said it will be expanding its DieHard tool brand into new categories, including lawn and garden equipment, to put in the Home & Life shops. It will additionally be working more closely with Amazon, Sears said, to make more products from the Kenmore appliance brand available on Amazon Dash’s reorder platform. Sears partnered with Amazon in the summer of 2017 to sell Alexa-enabled appliances, and later to offer full-service tire installation for orders from all tire brands on Amazon. After filing for bankruptcy, Sears is now referred to as “Transform Holdco,” until it announces a new name for the company, and it has 220 Sears and 205 Kmart stores remaining open. Eddie Lampert no longer holds the CEO role but has remained on as chairman, after his $5.2 billion deal to save Sears using his hedge fund, ESL Investments, was approved. Earlier this year, Lampert said he thought Sears could one day be a public company again. As the company emerged from bankruptcy protection, he said he wanted to focus on smaller-format locations and the company’s “Shop Your Way” loyalty program. It remains to be seen if his efforts will prove successful.